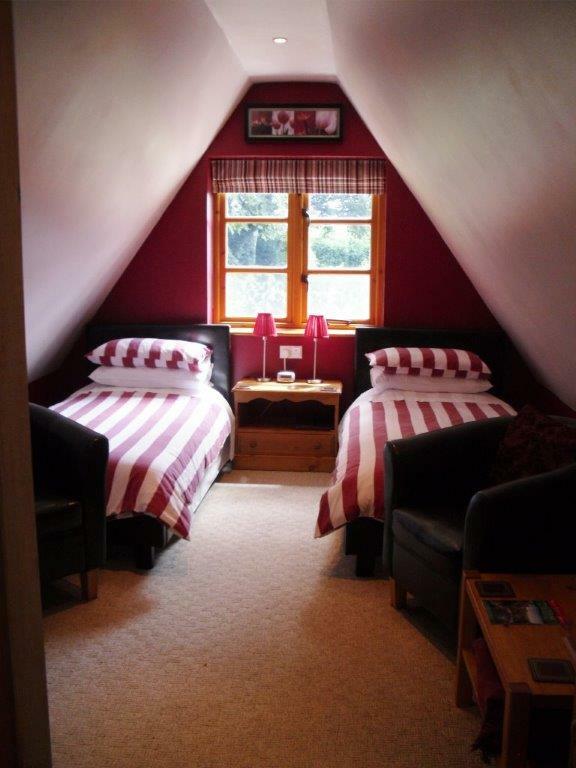 The Burgundy Room is located in our annexe (attached to the house) and is a twinbedded upstairs room, decorated with Burgundy colours with matching fabrics, linen and duvet covers. We use quality cotton bed linens and luxury bath and hand towels. Two easy chairs are available to relax, read and watch the TV in comfort during your stay. 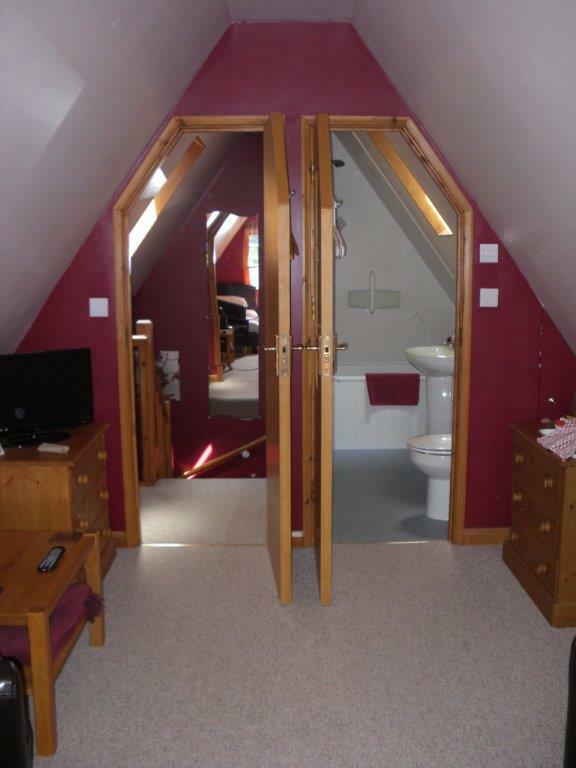 Full en-suite with small bath and shower over the bath, shaver points and hair dryer. A flat screen Freeview TV/DVD is provided and WIFI is free of charge throughout the B & B. A beverage tray with tea, coffee and herbal teas (decaffeinated available on request) is in the room with fresh milk and filtered water available in the fridge located just at the bottom of the stairs.